This book offers a fascinating yet disturbing account of the significance of racism in the lives of five and six year old children, drawing upon data from an in-depth study of an inner-city, multi-ethnic primary school and its surrounding community. It represents one of the only detailed studies to give primacy to the voices of the young children themselves - giving them the space to articulate their own experiences and concerns. 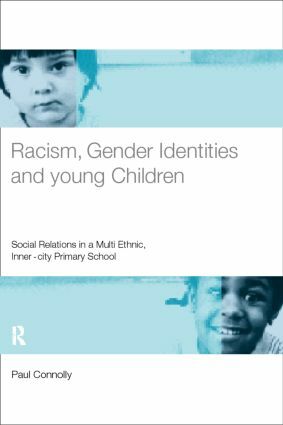 Together with detailed observation of the children in the school and local community, it provides an important account of how and why they draw upon discourses on race in the development of their gender identities. The book graphically highlights the understanding that these children have of issues of race, gender and sexuality and the active role they play in using and reworking this knowledge to make sense of their experiences.